Disney CEO Bob Iger this week said the company has future plans for a much larger Star Wars presence across its theme parks, with an early look at some of the new attractions set to be unveiled next year. A number of Disney's theme parks already feature "Star Tours," though with several new movies set to come out, beginning with Episode VII at the end of 2015, it was only a matter of time before Disney started capitalizing on one of its largest properties. "When we grow 'Star Wars'' presence, which we will do significantly, you will see better bets being made that will pay off for us than were made in the past," Iger explained on an earnings call earlier this week. Variety reports that Disney has seen considerable success with themed lands designed around film properties. Cars Land in California Adventure, for example, has seen attendance soar since finishing the $1 billion overhaul. Meanwhile, Disney also has Toy Story themed lands in Hong Kong and Paris, while Avatar rides are being built in Walt Disney World's Animal Kingdom in Orlando. Disney chief financial officer, Jay Rasulo, said these themed parks draw people into the park much quicker than normal rides. "These are attractions that pull people from I'm going to go to a Disney park someday to I want to go this year," Rasulo said. It isn't clear just yet what plans Disney has for an expanded Star Wars presence, though at the very least one would expect to see rides that feature the new characters and locations. 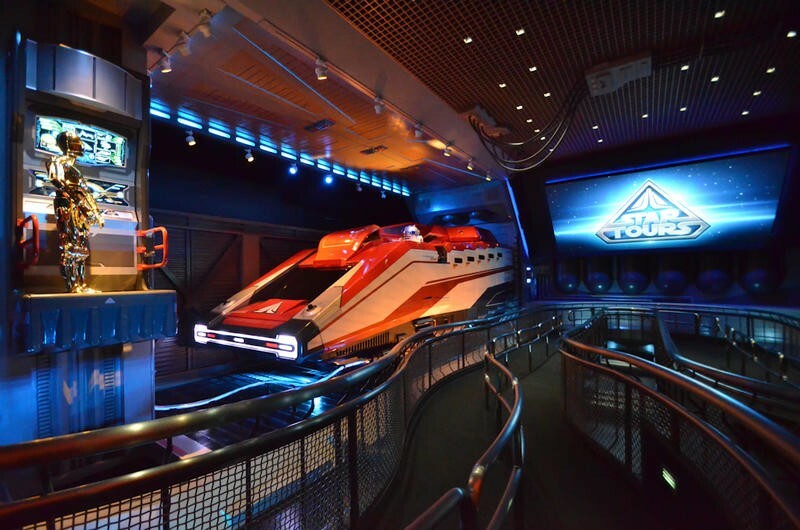 In the Anaheim theme park here in Southern California, Disneyland's Tomorrowland currently features a revamped version of Star Tours, which takes riders on a 3D motion simulated ride across the Star Wars universe.